Posted byJudith	 January 29, 2019 Leave a comment on Simple ways to overcome the pain of loss. Life can be hard sometimes. We are faced with some situations that cause us so much pain that we are tempted to give up. How do we cope when we lose someone we cherish and love deeply? Be it a family member, pet or even a relationship, it is never easy. The truth is, no one will ever truly understand how you feel but the Almighty God does. 1. 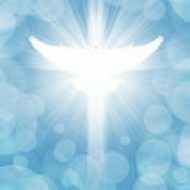 Ask the Holy Spirit for help : It may seem obvious but it is easy to become consumed by your pain, that you forget the Holy Spirit is there to bring comfort. He alone can reach deep into your heart and heal the wound, strengthen and give you the courage to move on. This is so important because many have become depressed and utterly fed up with life because they have tried to carry the burdens on their own. People may offer words of encouragement, which is fine, but I can tell you from my experience that mere words, do little to ease the pain. Take some time to pour out your heart to the Lord. Tell him exactly how you feel and how you need his help. You will be amazed at what he will do. Note, one can only receive help from the Holy Spirit if he is born again. If you are yet to receive Jesus Christ as your Lord, I encourage you to do so now. Studying the bible and praying may be difficult when you suffer loss. However it is the most important thing you need during this period. If you find it difficult to concentrate, I suggest you invest in an audio bible and messages that will lift your soul. I recommend Archbishop Benson Idahosa’s teaching on the “Benefits of death”. It will give you a good perspective on the subject and make it easier to deal with this inevitable occurence of life. It is available on you tube. You should also build yourself up by praying in the Holy ghost often. Good music can be helpful during this period, particulary praise and worship songs. Dont give room for depression by being in a dull enviroment. Praise and worship invites the presence of God into your situation. Isiah 43:18-19 – Remember not the former things, neither consider things of old. Behold I will do a new thing,now it shall spring forth; shall ye not know it? I will even make a way in the wilderness and rivers in the desert. I know this may seem impossible but it must be done, if you are to recover. Whilst we should always cherish the memories of our loved ones, overtly dwelling on pictures, videos or materials that remind us of them can make the recovery process slower. I suggest you give yourself time to accept the situation and heal first before you dwell on those. I Pet 5:7 – Casting all your cares upon him for he careth for you. If you try to comprehend every detail regarding how to cope without your loved one all at once, I guarantee you will end up overwhelmed. Whilst you should plan for important things like the funeral, finances, mortgages etc. everything should be broken down into manageable activities each day. Ask God to help you not to worry about tommorow. Seek professional counseling if you think you need it. Ps 127:2 – It is vain for you to rise up early, to sit up late, to eat the bread of sorrows; for he giveth his beloved sleep. You may not feel like doing any of these during this period but you need to stay energised to face the days ahead. It is important to eat healthy and drink a lot of water. Sleep is also needed to calm your nerves. When we feel sad, we most likely want to be left alone. While it is alright to spend some time alone to reflect, locking yourself away from others for a long period of time can be harmful. The devil knows you are most vulnerable at this time and he may begin to make destructive suggestions to you. Avoid people who may make you feel worse about your situation. Spend time with Godly people who can speak positively to you. Resorting to alchohol, drugs, immorality and the likes, CANNOT erase the pain. The momentary pleasure they give soon fades away and you are left feeling worse. Only the Holy Spirit can turn your pain to a blessing. The healing process may be slow and difficult especialy if you lost someone you deeply love. However, I encourage you to first accept the reality of what has happened. Also refuse to be consumed by guilt. Some people may they should have done something to prevent the death from occuring. Even if this were true, please forgive yourself. If you fail to do so, you will never recover. I also felt guilty after I lost my mother in a car accident. I felt I should have given her better first aid to save her life. I struggled with this until I asked the Lord for help. He healed me and helped me understand that even without my input he could have still delivered my mother if he wanted to do so. No one and nothing can replace your loved one but be open to receive the new oppotunities God will bring your way. Please if you have personal experiences or other helpful tips kindly share in the comment section below. You just might be helping a soul!